Today is a monumental day. Why? 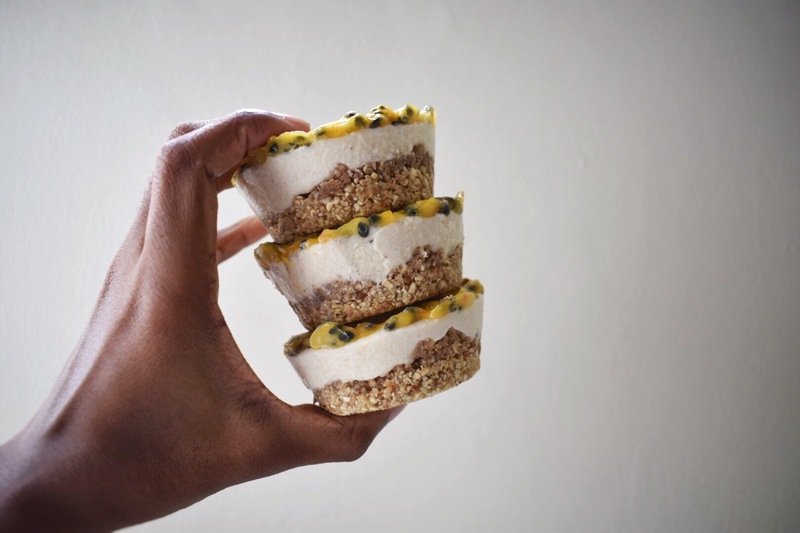 Car aujourd’hui I bring you the first vegan dessert to be published on this blog. To be frank, it was about time anyways. Through the many cheesecakes we’ve shared, the soups we’ve slurped and the burgers we’ve devoured, I decided that it was time to switch it up a bit. As I’m sure you all know, I have decided to permanently cut meat out of my diet. With the full knowledge of the atrocities that are committed everyday in the animal farming industry coupled with the significant impact on the environment that meat consumption is responsible for; I decided that enough was enough and it was time for me to act. I couldn’t stand by and support/ignore what was happening, whilst being fully aware of what was happening. So I stopped eating meat. 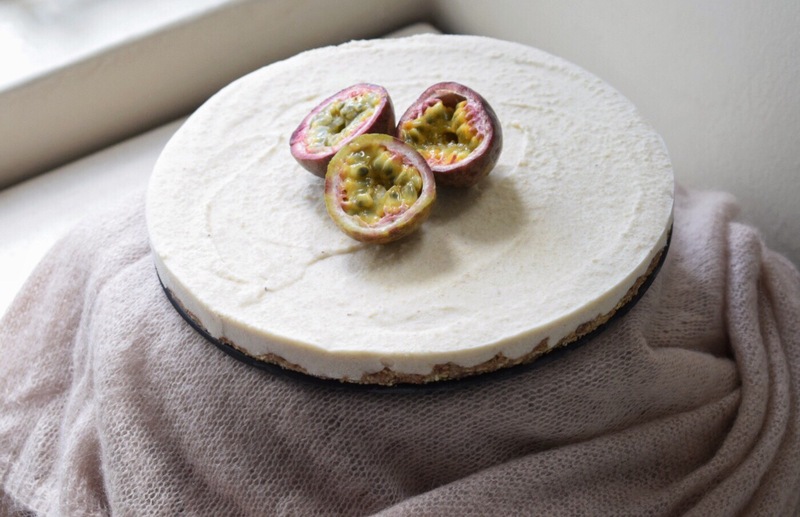 As the goal is to eventually cut animal products out of my diet and my closet, I decided to pay tribute to veganism today with this cheesecake. If you’ve never made a vegan dessert before, then fear not! The process is ridiculously simple. Start by preparing your vegan chocolate and your passionfruits. 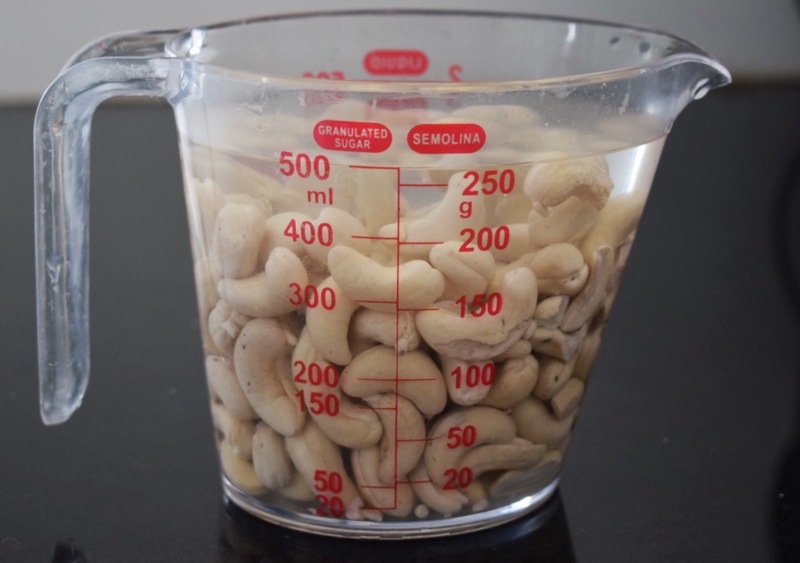 You’ll need 2 cups of soaked cashews for this recipe, they should be left for at least 8 hours, but if you don’t have time then you can soak them in boiling water for an hour. The almonds, pecans and oats are then blended to create a coarse meal. Maple syrup is drizzled in and that forms your base! The base is then frozen for 15 minutes to firm it up. All the cheesecake ingredients are then pulsed in the blender, poured on top of the base and this is frozen for 4 hours. 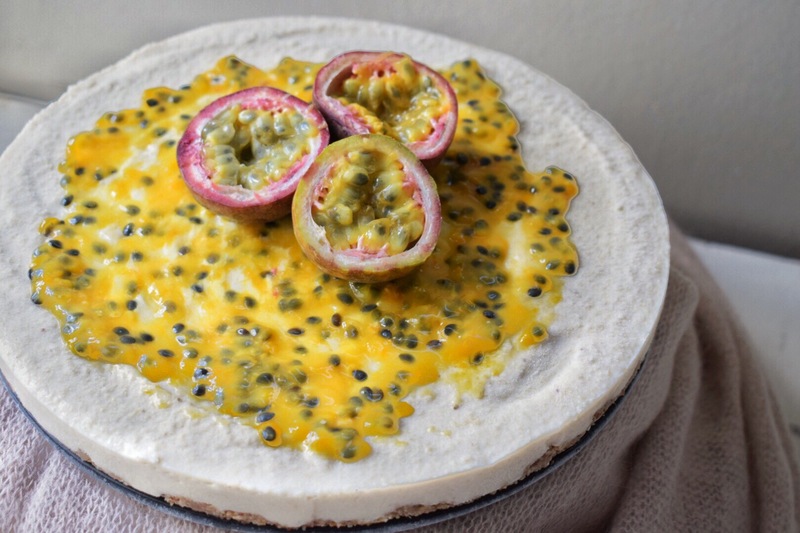 You take the cheesecake out of the freezer, spread it with the passionfruit pulp/sauce, let it sit for 15 minutes at room temperature and you’re good to go! Happy cheesecaking friends! Start with the base. In a food processor, pulse the oats, almonds and pecans until you have a coarse meal. With the motor running, pour in the maple syrup and pulse until the meal starts to bind together. 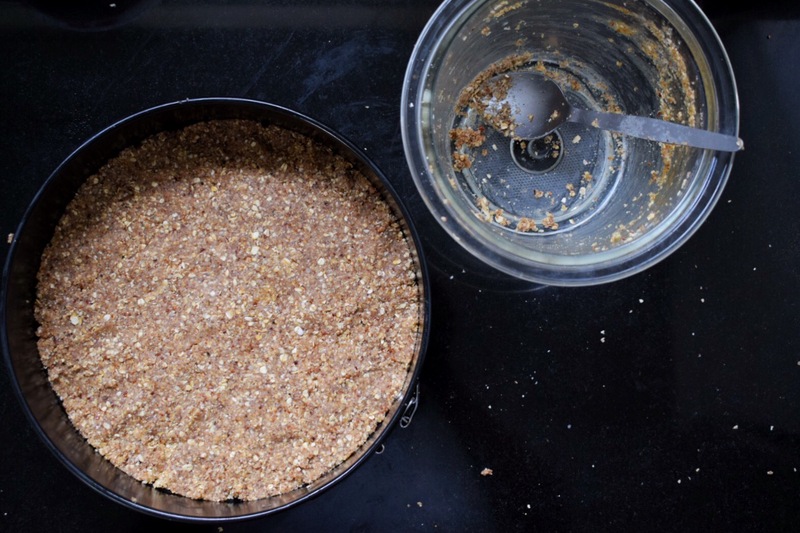 Switch off the machine and dump the base into a 9 inch springform pan or add a tablespoon of base to 15 cupcake holders (no need to grease it first). 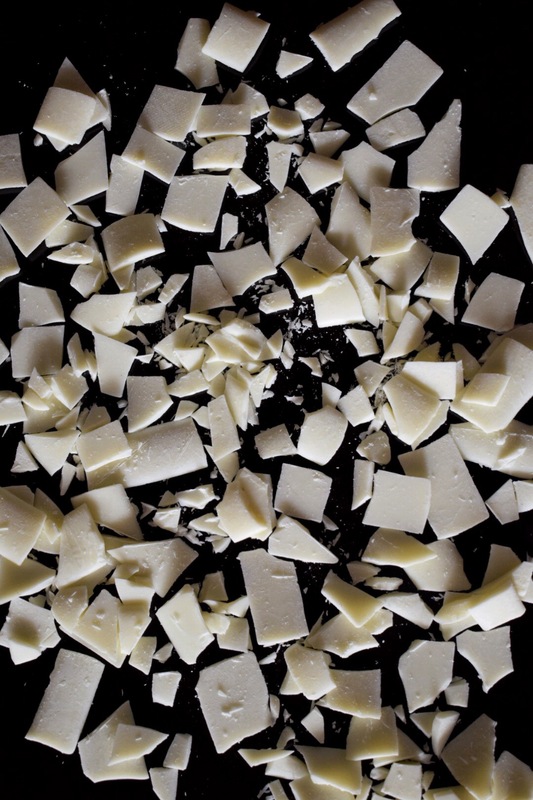 Pat the base down into an even layer and freeze for 15 minutes. Move on to the cheesecake filling. 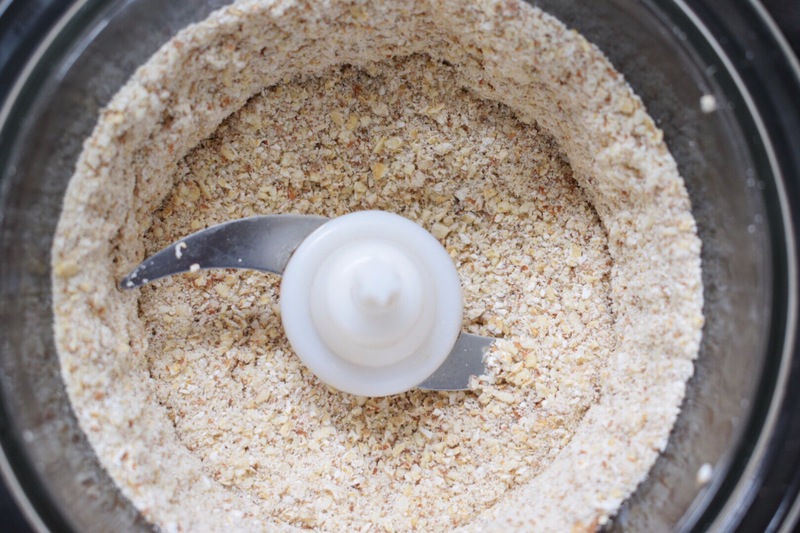 Add all the cheesecake ingredients to a food processor and pulse until creamy and no large chunks of cashews remain in the mixture. Scoop on top of the frozen base and use a rubber spatula or the back of a spoon to smooth into an even layer. Return to the freezer and freeze for 3 hours. 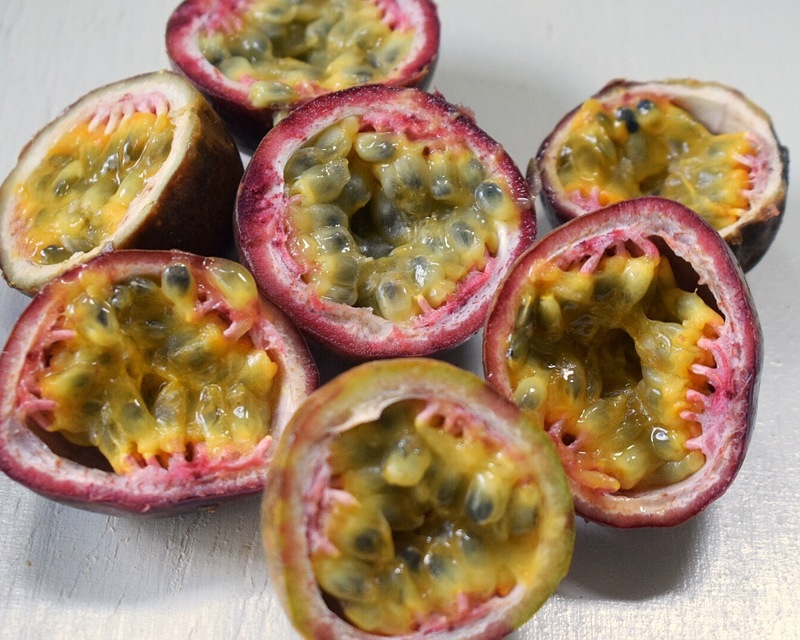 Finally make the passionfruit topping. Add the pulp and the lemon juice to a medium saucepan on low heat and bring to a boil. Pour the dissolved cornflour into the mixture and stir until thickened. Remove from heat and let cool. When ready to assemble, release the cheesecake from the springform pan to a cake stand. 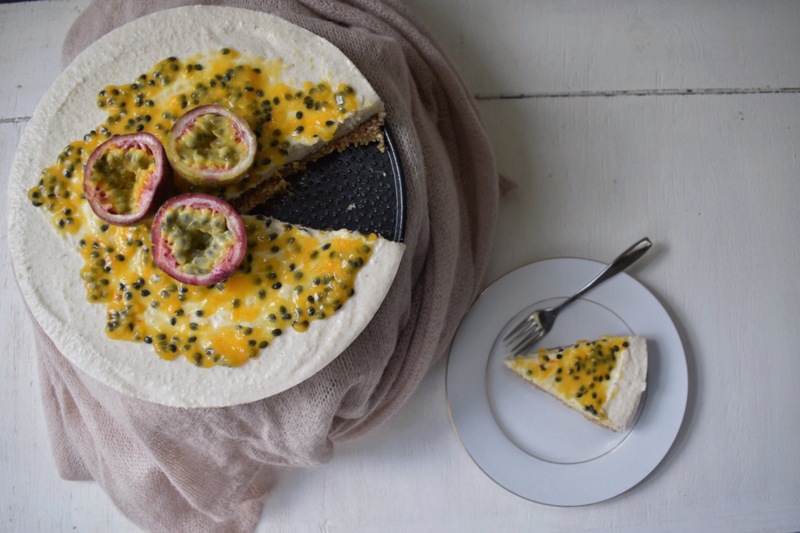 Use a spoon to smooth the passionfruit topping on top of the cheesecake. 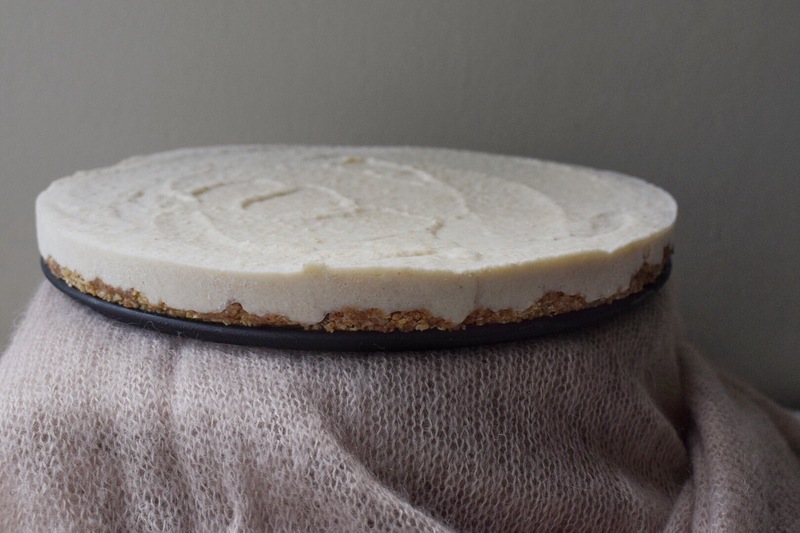 Let the cheesecake sit for 15 minutes to defrost aaaaaand you’re ready to cut and serve! Store leftovers in the freezer, but make sure to leave it at room temperature for 15 minutes before you slice and serve each time. 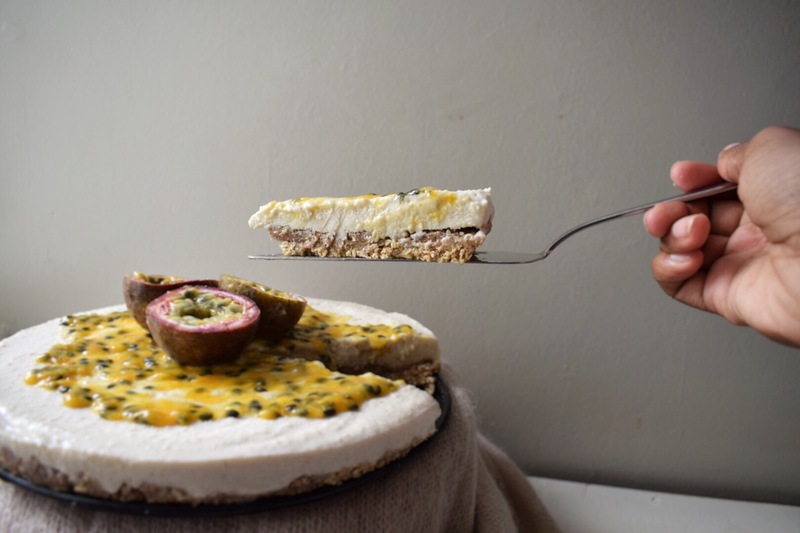 A sucker for regular cheesecake, but definitely worth trying this vegan version! Other flavors would work as well, like fresh mango (available in abundance here in Kenya), or berries? What would you suggest as an alternative for maple syrup? This recipe does work with several different fruits! For example with mango/berries I would suggest cooking them with a tablespoon of sugar and lemon juice for 5 minutes until softened then adding 2 teaspoons of cornflour (you’d have to dissolve it in a little bit of water first) then just cooking on low heat until thickened, and then you can top the cheesecakes with those. You can replace maple syrup with honey or any artificial sweeteners, and you can even sub in half a cup of soaked dates and just blend that into the normal mixture. I really hope you try these, they’re just as good as non-vegan cheesecake! And if you do, please let me know! Thank you so much for stopping by, happy cooking!